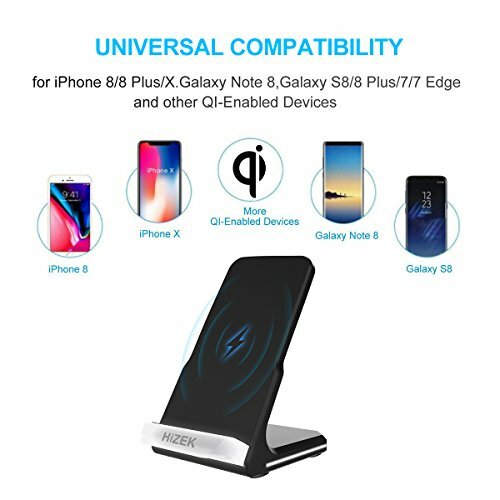 Rapid Charger -- Wireless charger supporting 1.4 times faster than standard wireless charger stand,ONLY available for Samsung Galaxy note 8,S8,S8 Plus,S7,S7 Edge,S6 Edge Plus,Note 5.And it will charge all the Qi-enabled devices at a regular speed,such as iPhone X,iPhone 8,iPhone 8 Plus. 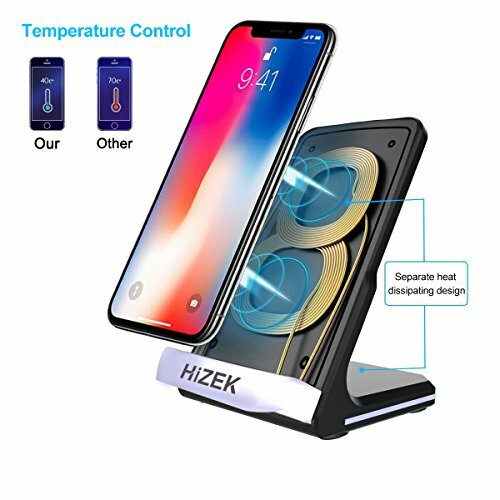 Humanized Design -- Provide a wide charging area to ensure safe charing performances thanks to built-in two coils,achieving to charge cellphone in horizontal or perpendicular direction. 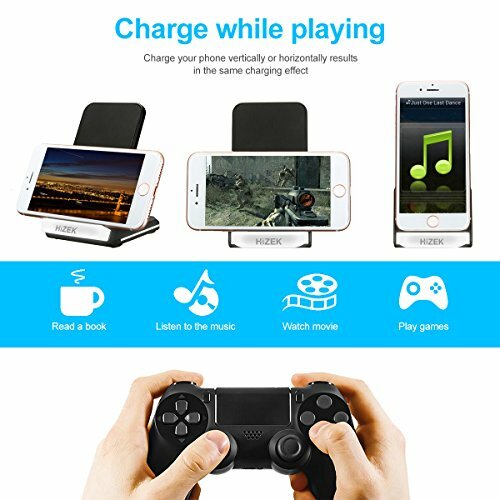 Fast wireless charger design stems from cellphone holder, conveniently to read book and watch video. 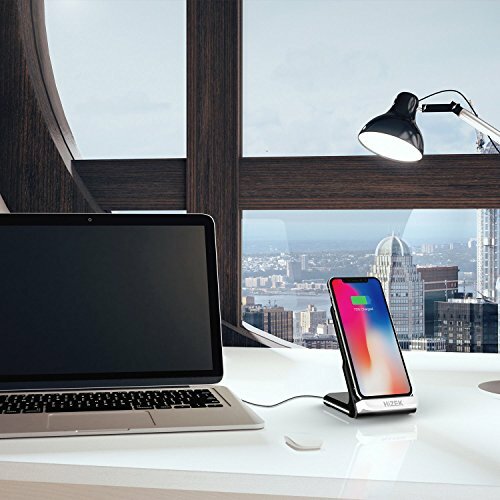 Intelligent LED indicator -- Automatic identification of fast wireless charger,different light indicates status of different conditions when connect to power,charging and fully charged. Hassle-Free Wireless -- Keep desktop neat and conveniently charge when placing down your Qi-enabled device. 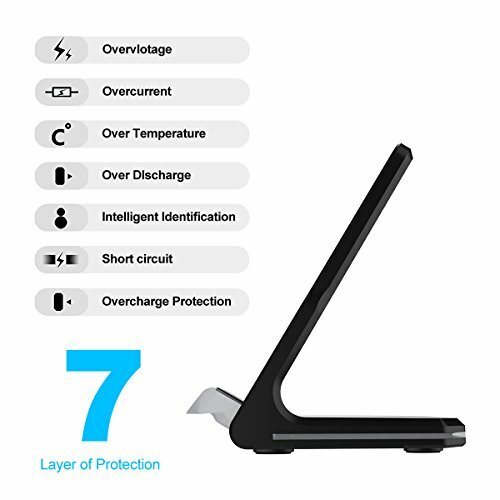 Prefectly avoid cable tangles and connection hassles. 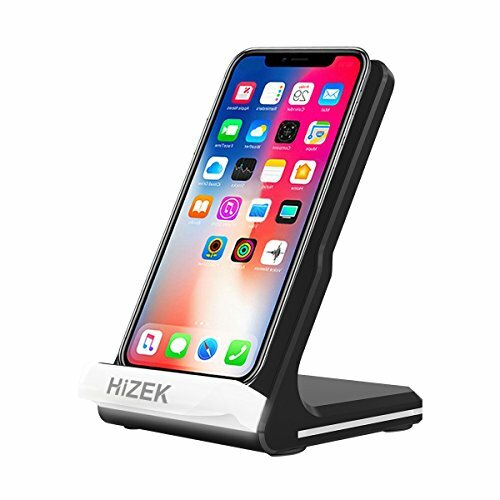 Foreign Body Detection Function -- LED light will keep flashing and stop charging when there is foreign materials on fast wireless charger, such as magnetic pad, metal case and other things.